Battle for Dazar'alor is almost here, but you can pass the time until then by completing the Glory of the Uldir Raider achievement and earning the Bloodgorged Crawg. Glory of the Uldir Raider is the meta achievement for the Uldir raid in Battle for Azeroth. This achievement rewards the Bloodgorged Crawg mount, one of the only two Crawg mounts released at launch. 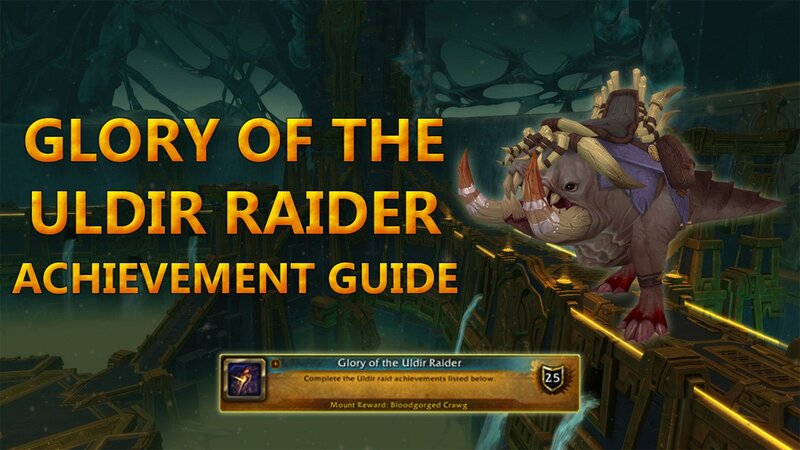 This guide will assume that players attempting the achievements have extensive knowledge of the fights, if not then please check the Uldir Boss Guides. To complete this achievement, you need to collect all 4 Orbs of Harmony during the Taloc boss fight. The orbs are found in the elevator shaft, and you can pick them up as the boss goes down during phase 2. The orbs are in random positions, and the ones you collect won’t reset if you wipe, unless you reset the instance. An easier way to do it is to bring a Havoc Demon Hunter and get them to jump down while gliding and Fel Rushing to pick up all the orbs, and wait for you at the bottom. You can see an example of that in the following clip. Click one of the buttons, and check if it becomes unclickable. Repeat for each room until one becomes unclickable, which means that you have found the correct start of the sequence. Click one of the two remaining buttons, check if it becomes unclickable. If it doesn’t then you’ll have to click the other one. Once you’ve found the correct first 2 buttons, click the remaining button and then check that all the buttons are unclickable. The best way to do this is to send a few DPS and a healer to the second or the third room to check the buttons. Do all the steps, defeat the boss and the achievement is yours. To complete this achievement you need to make every player in the raid get hit by Terrible Thrash during the Fetid Devourer boss fight. Terrible Thrash is one of the tank mechanics of the boss. Every 4th melee attack, it hits the target closest to the main tank for 300% of the normal melee damage. You need to rotate every player to get hit at least once every time the boss casts Terrible Thrash. The boss will enrage at 50% so it’s recommended that all players get hit before you DPS the boss below that threshold. Use any talent or ability that prevents you from dying such as Rogue’s Cheat Death, or Blood Death Knights’ Purgatory, as well as defensive cooldowns before you get hit. Despite this being a group achievement and not a personal one, any party members that are dead when the boss is killed won’t receive the achievement. To complete this achievement, a player in your raid group will have to use the Nerubian Archaeology toy Puzzle Box of Yogg-Saron during the Zek’voz boss fight. The box will open when the Projection of Yogg-Saron is summoned, and then will pour Void Barrages every few seconds, dealing damage to all players who stand in the swirlies. To complete this achievement you need to infect Warmother Rakkali with a Plague Bomb during the Vectis boss fight. Warmother Rakkali is located right before the entrance to Vectis, on the stairs that would lead to Zul. Plague Bomb is an ability the boss casts during Phase 2 (after it liquefies). The boss will spawn circles on the floor that usually need to be soaked by players so an add doesn’t spawn. For the achievement, you just need to position Warmother Rakkali on top of one of those, wait for it to explode and infect her, and then kill her. Mythrax achievement is fairly straight forward, you must not pick up any Existence Fragments spawned by other players. This means that once you get hit by a boss ability you'll spawn orbs around, and you'll just have to pick them up. Spread out decently, avoid getting hit as much as possible, and this achievement is yours! You can track this achievement and see the players who fail it with the Instance Achievement Tracker Addon. To complete this achievement players must not move while holding the Power Matrix during the G’huun boss fight. This means that two or more players will need to throw it to one another, moving only when they are not holding it. Do this for the 6 Power Matrices you need throughout the fight, kill the boss and the achievement will be done! Looking for a group? Then join the Achievements Discord! Here you can opt into roles to be notified of events that you might be interested in, such as Glory of the Wartorn Hero and Glory of the Uldir Raider achievement runs. There's a special place in hell for that achievement. Made people so angry. Note for anyone trying the overall meta now, it's not too bad. Hoping the achievements discord takes off because the past couple of times I checked it out, there weren't really groups going on consistently on Alliance NA. Been awhile though. I think what it boils down to is you need consistent leaders/organizers willing to spend 2 hours at a time like that Neall fellow despite not needing the chieve itself beyond the first run. I think he has a fairly successful stream so any other prospective leaders might want to look into that so theyre getting something out of it. Yup, Mythrax was fixed a while ago! It's much easier now, especially if you go with a group of 10 to 15 people. The community is pretty active in the first weeks when new content and achievements are out. After that, it may get harder to find a group. That being said, you can go to the #get-roles channel and get the role for Uldir achievements. Sooner or later someone will make a group, and you will get a notification about it. On a side note, this is the first tier that I haven't done a Glory of the Hero when it was current content. I looked at that profession stuff and decided against it. 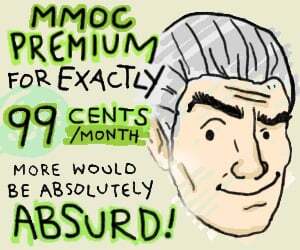 I'll check the discord out again at some point, but I really need more alts. This probably goes without saying, but 1) don't attempt this on a difficulty higher than Normal; 2) the more over-geared your group is the better (especially when you may require extra heals). Fetid Devourer: Remember to have the off-tank taunt at some point so that the main can get Thrashed. Zul, Reborn: You can use the world raid markers to indicate where the borders are for the inner ring. Also, it's better to take the extra damage rather than risk people jumping to their deaths in the final phase (which will spawn extra minions). G'huun: Not terribly difficult to do, but it's quite tedious so don't lose patience here. This fight is also where I'd recommend having an extra healer. Mythrax is also a million times easier in a small raid. If you're having trouble, split into multiple groups. We did like 5-6 attempts with 20something people but someone always hitting the wrong orbs in the transition, so we split into two groups and then one shot it. Only run the first 3 orbs. You can simply stack and burn through p2 in normal difficulty without using any orb on p2. No point risking someone messing the achievement with some msitake. Someone wake me up when BfA is finished. 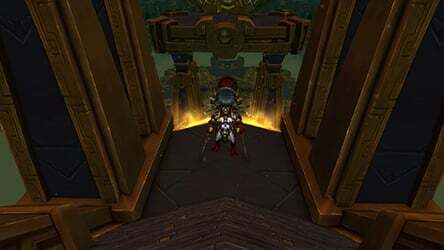 Back when Uldir first came out, I scanned the achievements and I assumed the one for Zek'voz was just another one of those easy gimme use-a-toy-and-done achievements. I had no idea that it actually affected the fight and added a mechanic. Needless to say, I caused a wipe. [*]Fetid Devourer: Remember to have the off-tank taunt at some point so that the main can get Thrashed. Also, if someone dies and gets rezzed, they need to get Thrashed again. "Despite this being a group achievement and not a personal one, any party members that are dead when the boss is killed won’t receive the achievement." Pretty sure we had at least one dead during our first time doing this and they got it. Cloth wearers die quite easily to the thrash. So maybe it's been hotfixed. There going to be enough people left playing to do the raid? "a troll is a person who starts quarrels or upsets people on the Internet to distract and sow discord by posting inflammatory and digressive, extraneous, or off-topic messages in an online community (such as a newsgroup, forum, chat room, or blog) with the intent of provoking readers into displaying emotional responses and normalizing tangential discussion, whether for the troll's amusement or a specific gain." Can I earn flying yet? We one shot the achievement last wednesday in a guild raid. So I would guess yes, was stupidly easy.